New Year – New Board! The CAMICB Board of Commissioners will be having their first meeting of 2015 next week. The new year brings new Commissioners to the Board. Our Commissioners come from diverse geographic locations and backgrounds representing industry and consumer interests. CAMICB is governed by a nine-member Board of Commissioners. Officer elections took place in December 2014 and CAMICB would like to welcome Judy Rosen, CMCA, AMS, PCAM into the role of Board Chair. Drew Mulhare, CMCA, AMS, LSM, PCAM will step into the role of Vice Chair, while Ronald Duprey, CMCA, AMS, PCAM will retain his position as Secretary-Treasurer. CAMICB would like to thank Beverly Scenna and past Chair Robert Felix for the outstanding service to the organization and industry. CAMICB would also like to congratulate Ms. Rosen on her recent award. 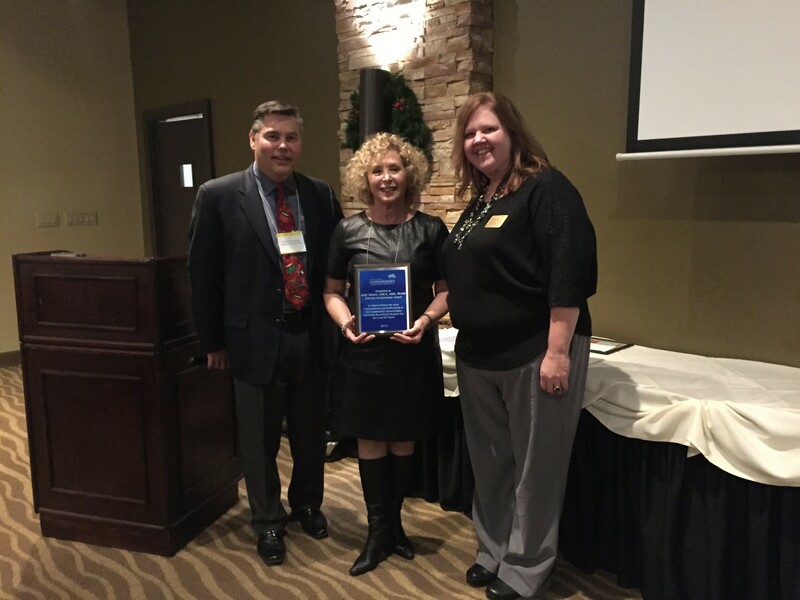 The Heartland Chapter of CAI presented a “Lifetime Achievement Award” to Judy Rosen for her more than 35 years of service to the industry. Award presented by Patrick McClenahan, Chapter President, and Cathy Roth-Johnson, Chapter Executive Director.